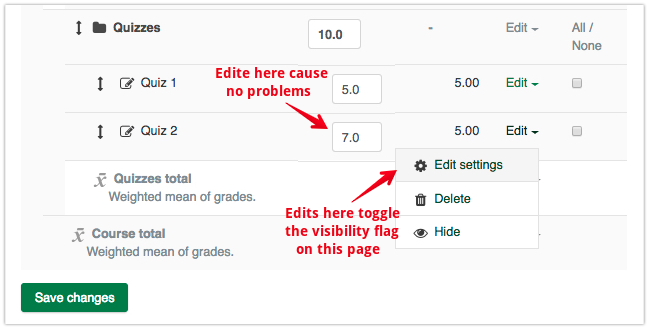 The problem affects the Gradebook setup view of the gradebook and occurs when making any edits or changes to the properties of grade items in categories in gradebooks where the course total or a parent category has already been hidden. 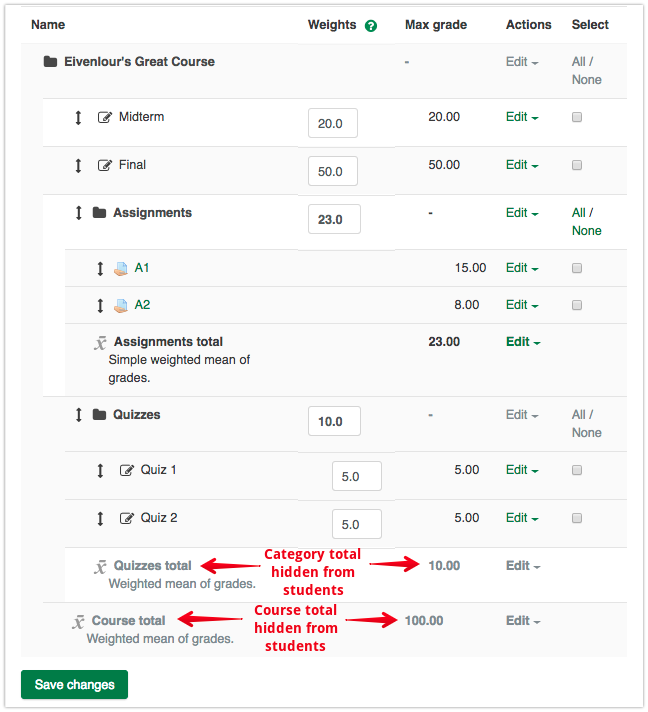 This is a relatively common scenario, for example an instructor would want to hide the course total or a whole grade category until all the grades have been populated to limit student confusion stemming from incomplete totals. 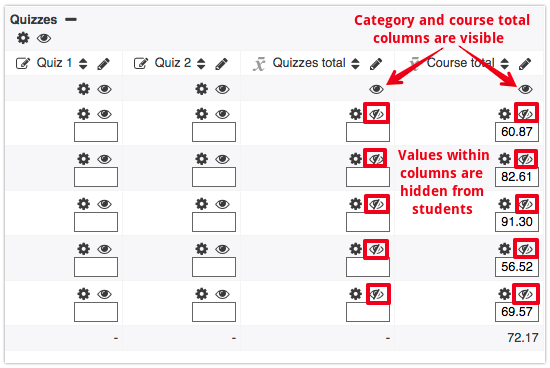 If you want the grades to remain hidden to students, click the eyeball at the top of the column and then both the column and the grade items will be hidden (this makes all views of the gradebook show the correct information). 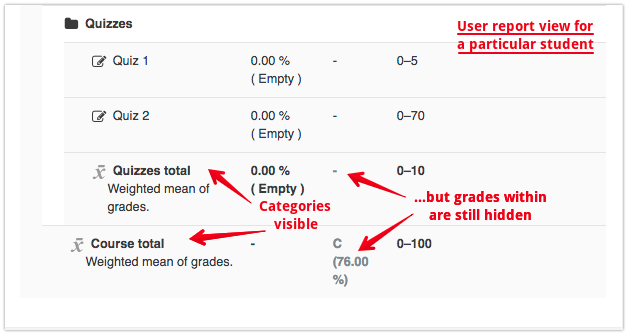 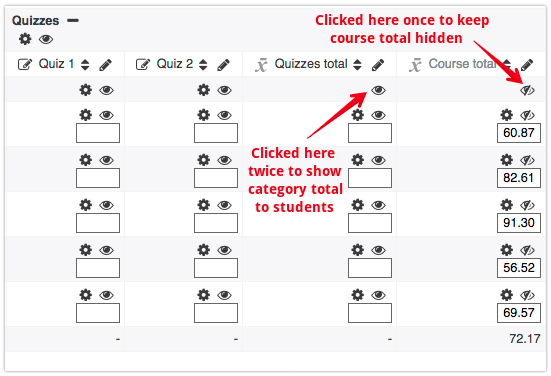 If you want the grades to be visible to students, first click the eyeball at the top of the column to toggle it closed, then click it again to toggle the column visibility AND individual grade item visibility open.